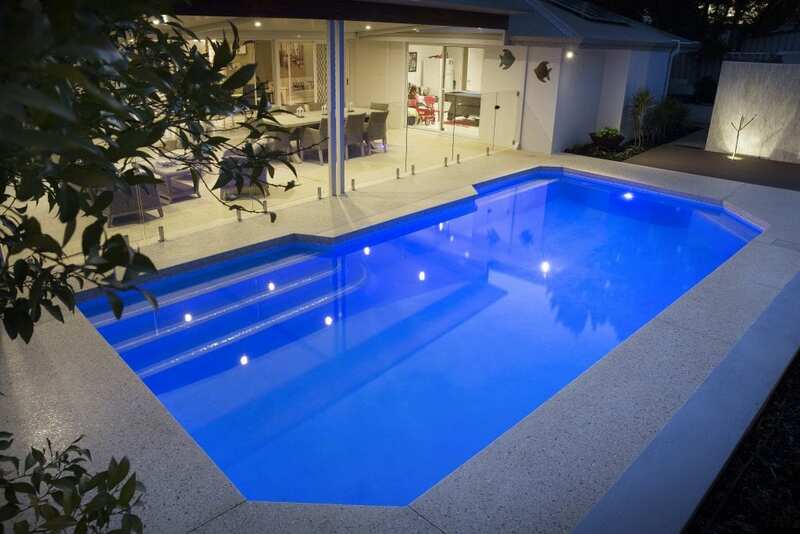 McGinn Concrete is one of the only, if not the only concreting company in Brisbane to offer residents the proprietary PoolEdge pool surrounds system. 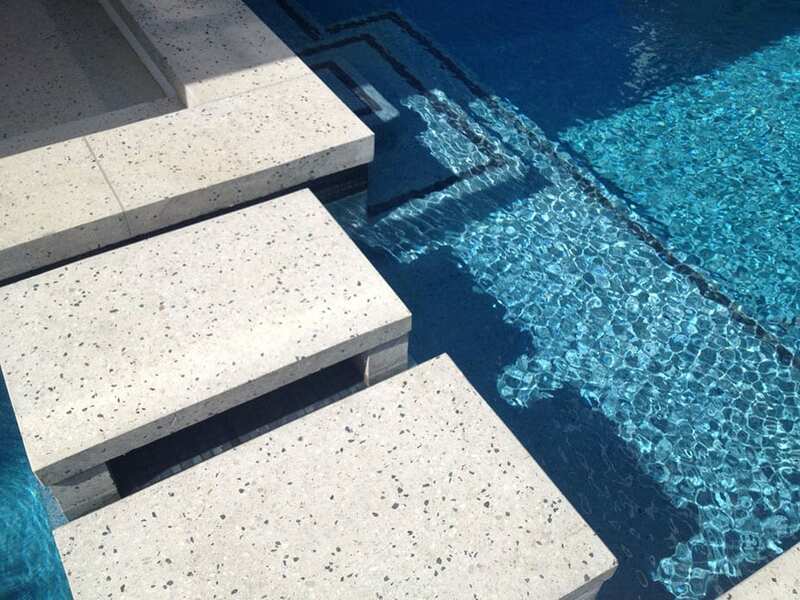 The PoolEdge system offers a seamless, honed concrete or liquid limestone pool surround giving you an impressive, safe and durable look to make your pool stand out! 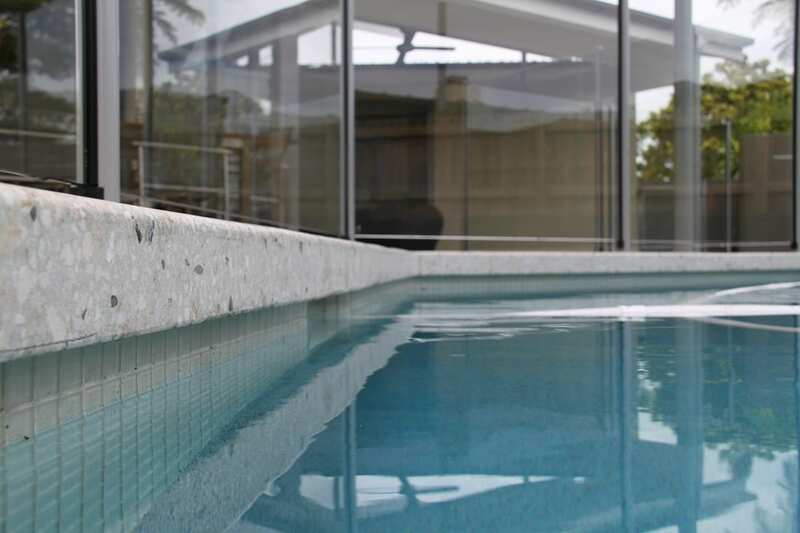 PoolEdge is suitable for concrete and fibreglass pools and works for all pool shapes. PoolEdge Formwork: What is it? 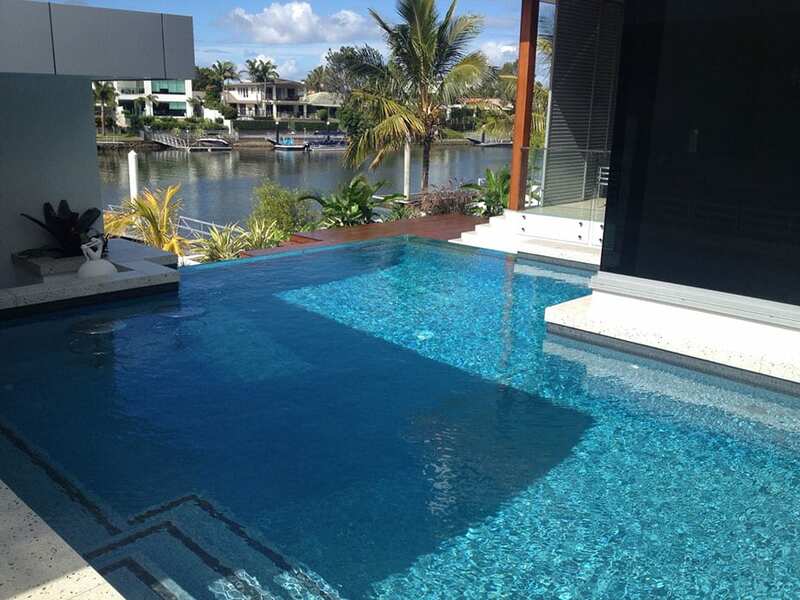 PoolEdge is a proprietary pool surround moulding system – we’re the only concrete installation company in Australia with the technology and the expertise to use it. It enables us to create a wrap-around pool surround that envelopes your concrete or fiberglass pool, without the need for a bullnose/capping header around the edge of the pool. 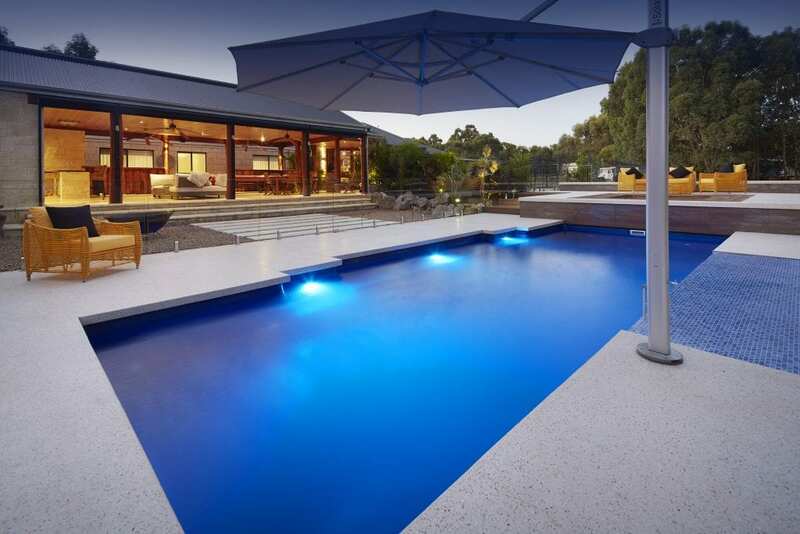 We can use PoolEdge for any shape or type of pool, be it concrete or fibreglass, providing the million-dollar look you’ve seen in the magazines and in movies, but without the price tag. Any colour. Any decorative concrete finish. You simply cannot compare the look and advantages of our flooring systems to segmented pavers. The formwork is made from a special grade polystyrene which has the right amount of strength and flexibility to contour to ANY shape pool. It has been designed to allow for early striping without the need of any release agents and will not adhere to the concrete. 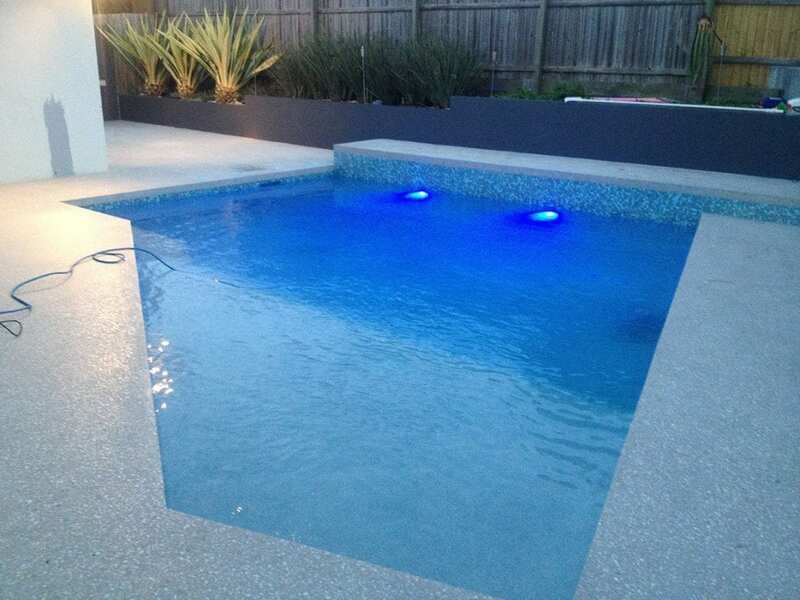 Forming concrete swimming pools with this system also eliminates any chance of the concrete floor cracking or dislodging the tile band on the pool wall which is a common problem with this type of work. Want to discuss your PoolEdge concreting project further?